This post is not much about Gardening, but more about Food, but may be of your interest since you can grow your own herbs to cook on Thanksgiving (maybe for next year?) besides that are easy to grow, don’t occupy too much space and you can regrow them! As any chef worth their salt knows, the right combination of herbs and spices can make or break a dish. But for cooking novices, using herbs can be scary and confusing. This guide shows you which staple herbs should be on your cupboard shelf, and which ingredients they each work well with. It’s about thyme you considered growing an herb garden. Herbs are easy to grow and can be incorporated into almost any dish for a flavorful kick. Heading to a party? Why not bring a dip with some fresh grown chives. Getting ready to grill some meat? Try rubbing it with thyme, first. Knowing what herbs go with what food can be tricky. This infographic will teach you which herbs to use when you cook, what their flavor is so you can try some experimenting and their proper growing conditions. It is known knowledge that, herbs grown around the house can turn out to be cures for common ailments. 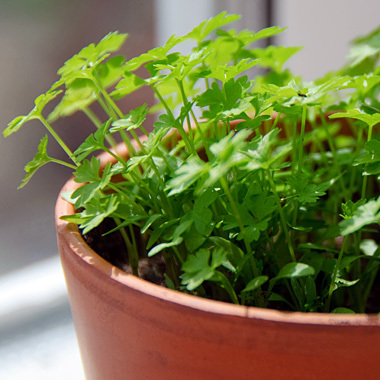 Instead of wasting gas to go to the drug store every now and then, grow some of this around the house in pots and place them in sun windowsill’s herb garden. This can easily be bought from garden stores and planted in the pots.